The islands of Murano and Burano are islets near Venice. They are part of the municipality that governs Venice but maintains a unique, less crowded culture. Murano is known for its production of glass. I must admit that I was not originally impressed with Murano. It was sold to me as a better version of Venice. In fact, it is like Venice, but smaller, who would want that? Now that I think of it though, maybe some people would (after visiting Venice enough time). Murano is famous for its continuing tradition as a glass producer. There are still plenty of shops who offer tours for 5 Euro and produce some of the finest glass in Italy. While I didn’t personally have time to visit Burano, I have been assured that it is similar, which is why I clumped them into a single entry. This post is a bit of a cheat since I am going to suggest some things technically included in the Venice UNESCO World Heritage inscription. However, these three things are to fill up your itinerary once you are already in Venice. While some are obvious, others you might not have considered. The views at night are as good as in the daytime, but with less people. 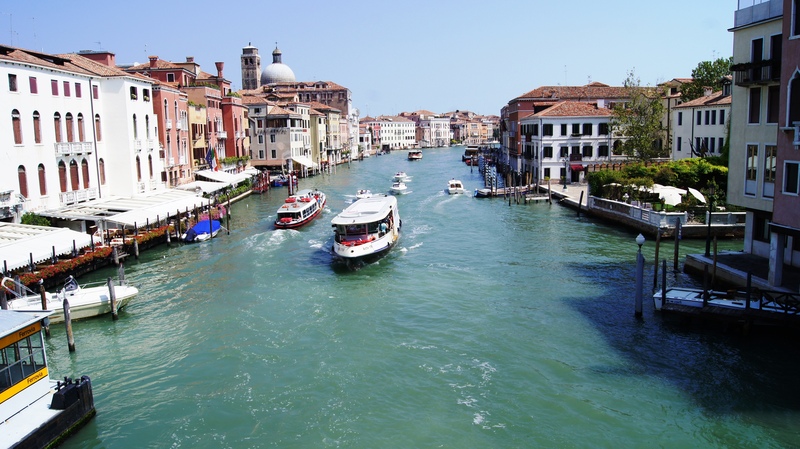 The first thing you will notice in Italy is The Grand Canal. What is the second thing you ask? The CROWDS! I didn’t try to look very hard, but I didn’t notice much of a “night scene” in Venice besides a few scattered restaurants that were open. Furthermore, from my personal observation, the majority of the crowds came from cruise ships and were much older than me (20’s). Maybe it was a combination of these three things that makes Venice quiet at night, which is a good thing! The canals, and the city in general is as aesthetically pleasing at night as it is in the day. If you have the dream of a quiet, romantic getaway taking a gondola with a native Venetian singing Solemio, about 200 million tourists thought of it first. Is that to say that Venice is not worth going to, not in the least! Everyone should go at least once! However, Venice gets 20 million visitors a year, which adds up to around 70,000 a day during high season in a city that is not very big to begin with. The crowds are something to consider since during peak season, some streets are bursting at the seems with people, especially those traveling in huge groups by cruise ship. Venice is one of the most unique places I have ever visited. It is composed of over 100 islands linked together by bridges. Even with a map, it is quite the labyrinth. Probably the most refreshing thing about Venice is not seeing a single car (if you stay away from the bus station that connects to the rest of Italy) in the entire city. The whole transportation system is water based, with boat cops, firefighters, trash collectors, taxis, buses, etc. 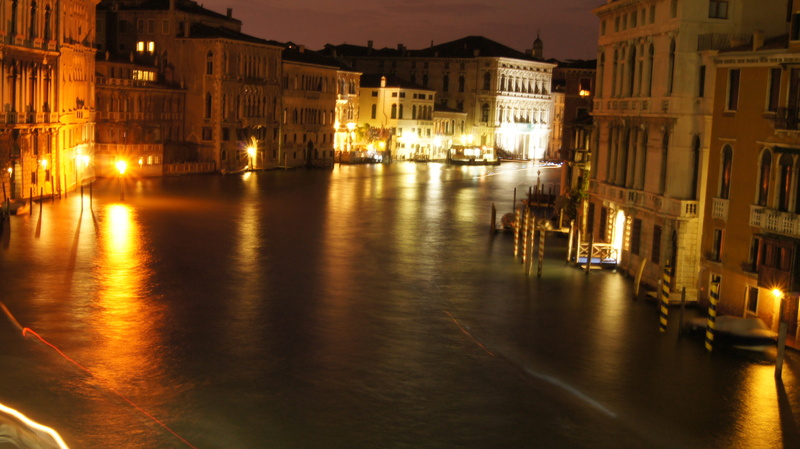 To truly appreciate Venice, try walking around in the middle of the night when it is finally quiet. Of course, very few places will be open, but the canals will finally settle, and you can even see the tide go up if you look at the steps that lead to the boats (you’ll know what I’m talking about when you get there).